How did you get started in Breeding and how long have you been doing it? I have always been an animal lover. I kept tropical fish for many years but never really discovered keeping reptiles until 1998. My first reptile was a box turtle. After having her for a year I acquired a pair of adult leopard geckos. The following year I bred them and produced my first babies. After the first babies hatched I was hooked. Even to this day some 10 years after the first hatchling I get excited to see new babies. It’s hard for any reptile enthusiast not to want everything out there. I do plan on continuing to improve my current SHTCT leopard gecko project. The past few seasons have yielded some incredible babies. The babies are now adults and are breeding this year. I also added some new bloodlines and the combination of these two is already promising with just a handful of hatchlings. Within the next year or so I would like to add patternless and whiteout fat tails along with some Diplodactylus species and expand my current collection of Nephrurus. There are a few other projects in the works but they are secret for now. As for the supplies I do plan on gradually adding more. I’m not the one to go out and buy everything that’s being manufactured just to sell. I stock products that people want, that work and make keeping a reptile easier. With that said we are working on manufacturing a couple of new products that will be made with geckos in mind. I can’t say what they are right now but I’ll make an announcement when they are ready. I consider myself a smaller breeder although most people think I’m much larger. I typically produce 100+ offspring per season. We recently finished a new facility with homemade racks and incubators. With the new setup I can house over 330 individual animals. As long as I can handle the maintenance and up-keep of the collection I would like to grow to a medium size breeder in the future. Another goal I have is having a separate room dedicated to breeding all my own feeders. I currently produce all my mealworms, superworms and roaches along with a small percentage of crickets. It not only helps the feeder bill but I have access to any size feeder and I know where they came from. For any reptile I love bright, vibrant colors. 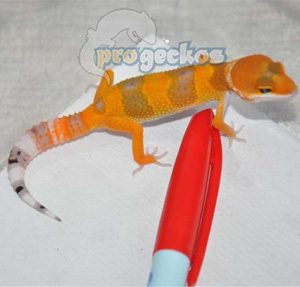 My absolute favorite leopard gecko morph is the super hypo tangerine carrot tail. There is just something about a bright orange to red gecko that is so eye catching. 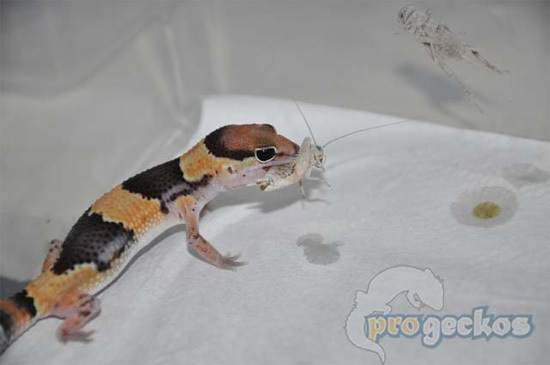 My favorite African fat tail gecko morph is a nice striped amelanistic. 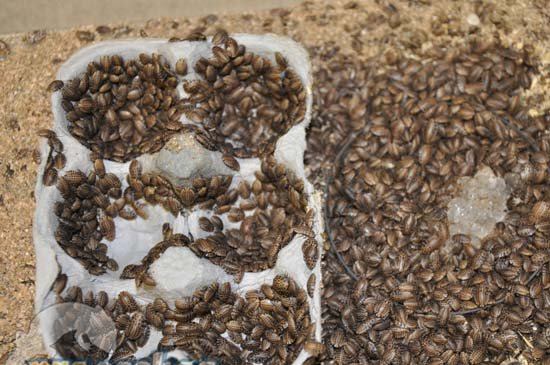 How many breeders do you have in your projects and what types of morphs do you produce? I have about 50 breeders and that’s including all projects. I have scaled back my leopard gecko morphs to just super hypo tangerine carrot tails. The fat tails include banded, stripe, banded amelanistic and striped amelanistic. What animals do you enjoy breeding the most? That’s a tough choice. Leopard geckos were my first breeding project so there is always a special place for them. In recent years though, I would have to say the African fat tail. They are a little more challenging to breed and not as prolific as leopard geckos but they have incredible personalities at any age. With all the new color morphs hitting the market right now there are endless possibilities. What type of problems or challenges have you faced in starting breeding? The biggest problem I’ve had is maintaining constant temperatures. My old racks had light dimmer switches to control the heat tape which works great as long as the room temps stay consistent. The area I live in can have highs below freezing in winter and triple digit heat in the summer. This makes the room have a wide range of temps. My new racks now have proportional thermostats that automatically adjust the heat even when the room temperatures change. Temperatures are very critical so having a space heater, central heating and air conditioning or a portable a/c unit to help maintain a room is a real must. Are you affiliated with any groups, organizations, clubs, or forums? If so which ones? I’m a member and participate as much as possible on Gecko Forums, Reptile Culture and Geckos Unlimited. Time is usually not in my favor but I try to post as much as possible. I also have a YouTube channel and Facebook. Do you offer any other services or supplies other than live animals? Besides the animals and supplies I’m one of the few breeders that is also a graphic / web designer. 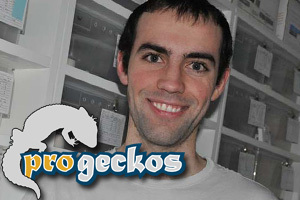 I designed everything for Pro Geckos from the website to the business cards. I also offer high quality printing at affordable prices. How did you get into selling reptile supplies? I got into selling supplies very unintentionally. My very first product was Pro Gutload which is for feeder insects. Things were picking up and I had customers buying the gutload wanting other supplies in the same order. It makes sense getting as much as you can from one source, right? This is what I thought so I figured out what I could get that people wanted. I gradually started adding new products and have been doing so up to this day. One thing that was essential was to provide a good way to present and sell the products. I upgraded from a Paypal shopping cart to a more professional cart that I’m using now. Getting started in supplies is pretty straightforward. The biggest thing you need is money as it can be a very heavy investment. A lot of people don’t realize how much up front money is needed. The majority of the manufactures or distributors have minimum orders that can be anywhere from $250 to $3000 per order. We interview breeders about every other month and are always looking for people interested in being interviewed. If you would like to take part in this interview series please contact Cory at CSM Gecko. You can contact Cory through his website www.csmgecko.com or email csmgecko@gmail.com. 1. Make sure you have enough tubs/tanks to house the babies seperately if you need to. You may find yourself having more males or some of them may not get along and so you should be able to accomodate that. You should also have enough room to seperate the adults as well in case any issues arise. 2. 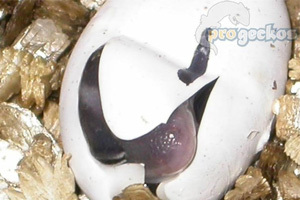 Get a good quality incubator. If you get too great of a temp flux, you can wind up with defects, deformitories, or the eggs with just die. 3. Do your research. This is probably the most important tip. If you do your research then you should be able to spot issues prior to anything too bad happening. 4. Have fun with it with your breeding projects. If you need any more in depth info feel free to contact me directly at csmgecko@gmail.com.